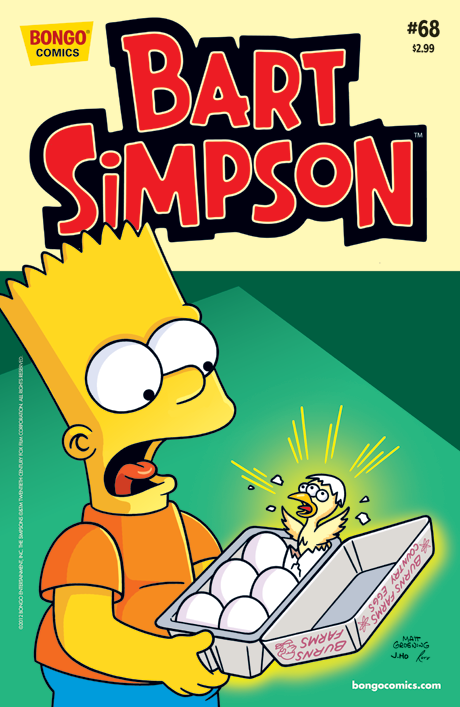 Bart Simpson #68 is the 68th issue of Bart Simpson Comics, released on February 22, 2012. Jimbo, Dolph and Kearney take a ride on the Duff Blimp, planning to cause mischief with a lot of eggs. Bart's plans to enact revenges on the bullies leads to a mass panic as the entire town searches for gold. Maggie goes missing during a bath.